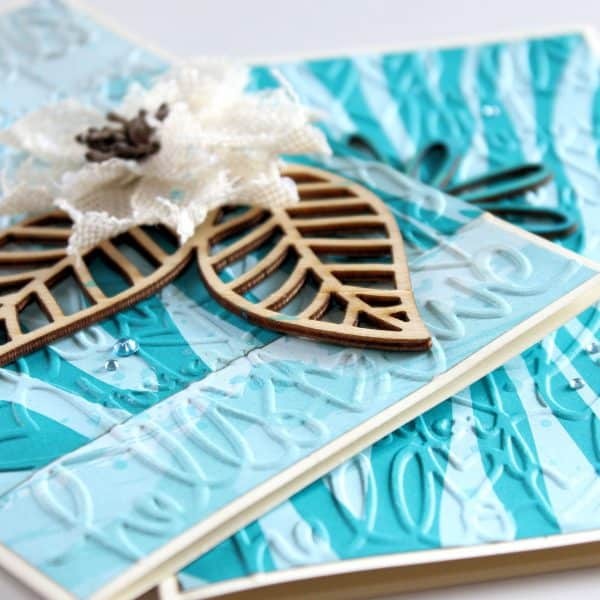 I am still having great fun playing with my funky Zesty Zebra patterned papers, and what better way to utilise every inch of paper than to create some gorgeous cards using my off-cut pieces. 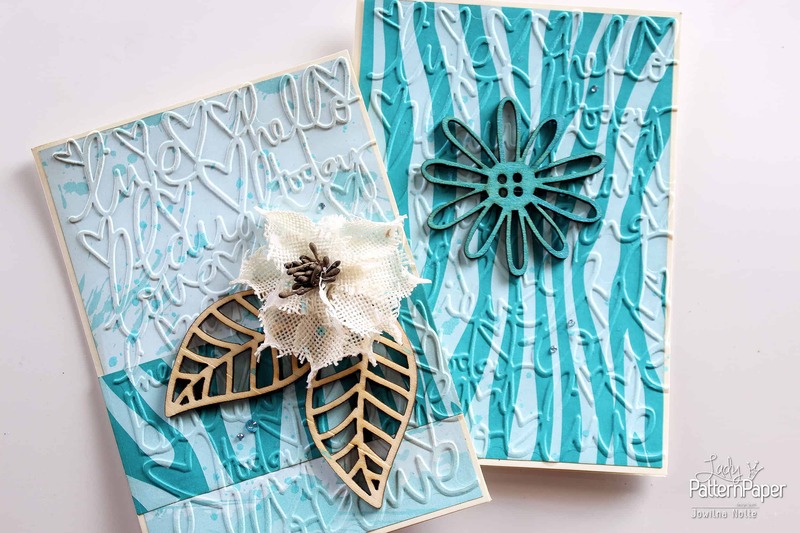 For these cards I used an embossing folder to add some gorgeous textures to the cards in a single easy step. 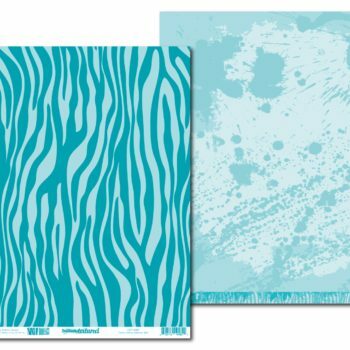 I used the embossing folder on the zebra side of the patterned paper. A single wooden flower misted with a shimmering spray adds a beautiful shine to the focal point wooden embellishment. 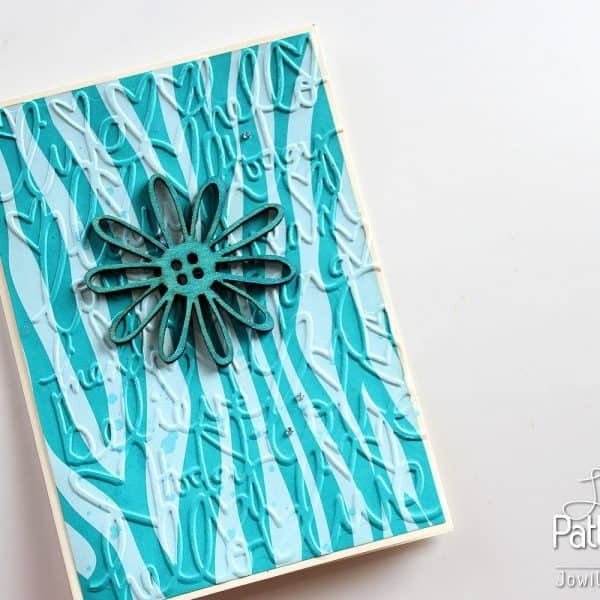 I used the same embossing folder on this card, but my background consists of a piece of the splattered background and a strip of the zebra paper running across the bottom of the card. 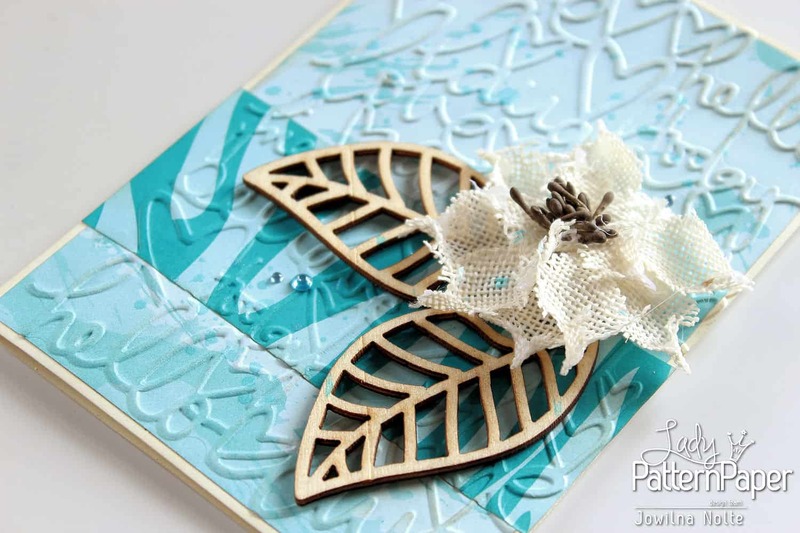 A beautiful flower and wooden leaves form the focal point of this card. 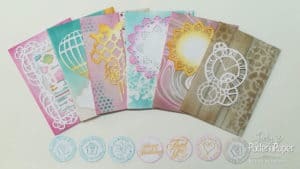 Select your papers you want to use for the cards. Trim the paper slightly smaller than the front of your folded card and adhere it to the front of the card. 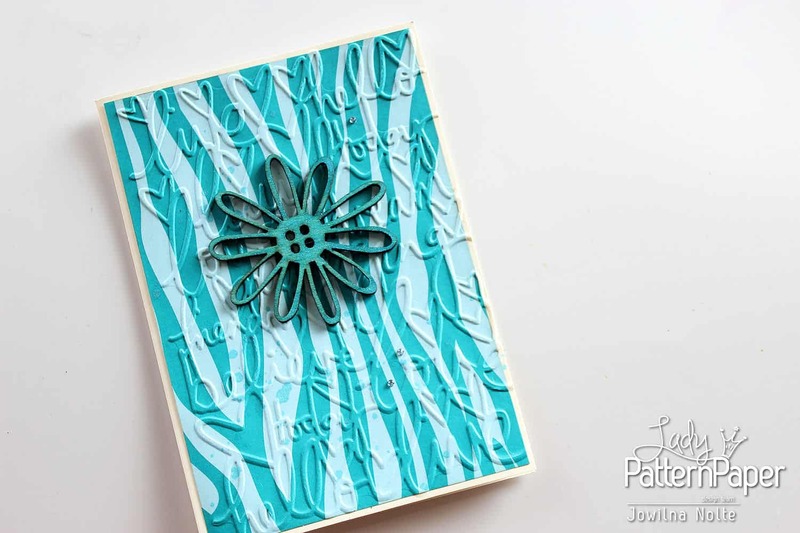 Open up the card, place the back portion of the embossing folder inside the card, close the card and then close the embossing folder. 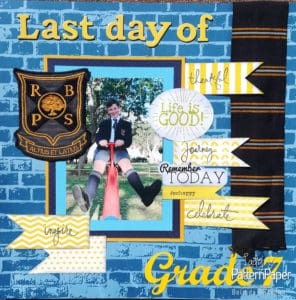 The front of the card is now sandwiched in the embossing folder. 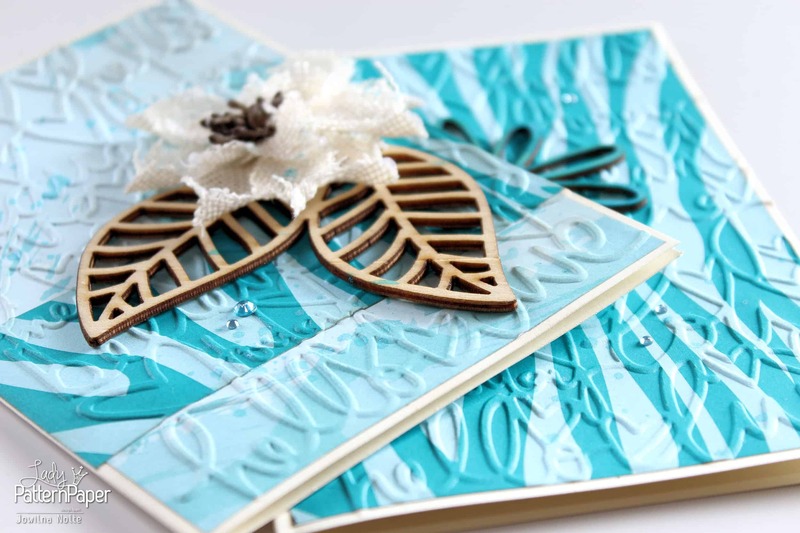 Place the embossing folder in your die-cutting machine and emboss the card. 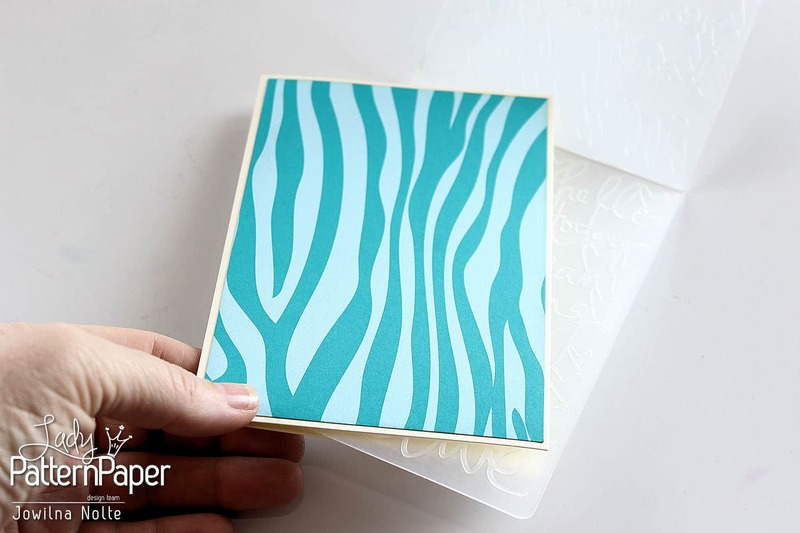 Repeat the same steps for both cards to emboss only the front of the cards. 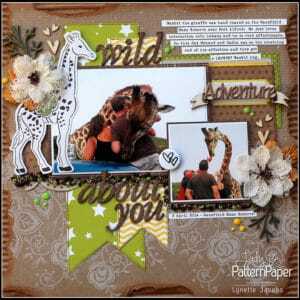 Decorate the cards using various focal point embellishments and diamante. 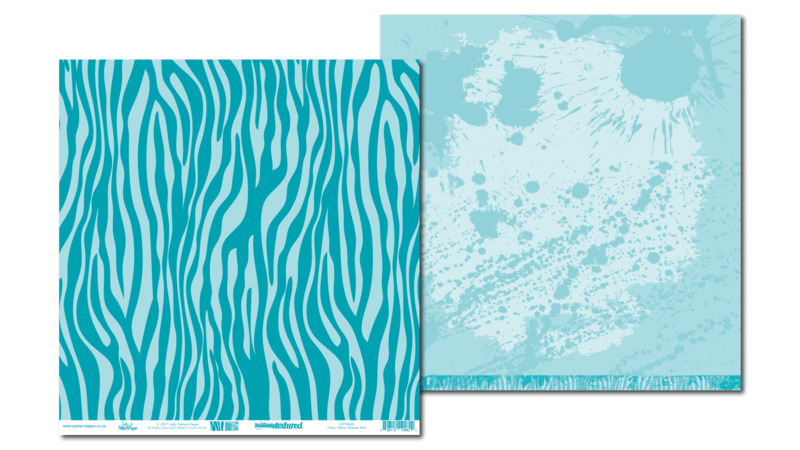 Add a few splats in a shimmering blue ink over the fronts of the cards. 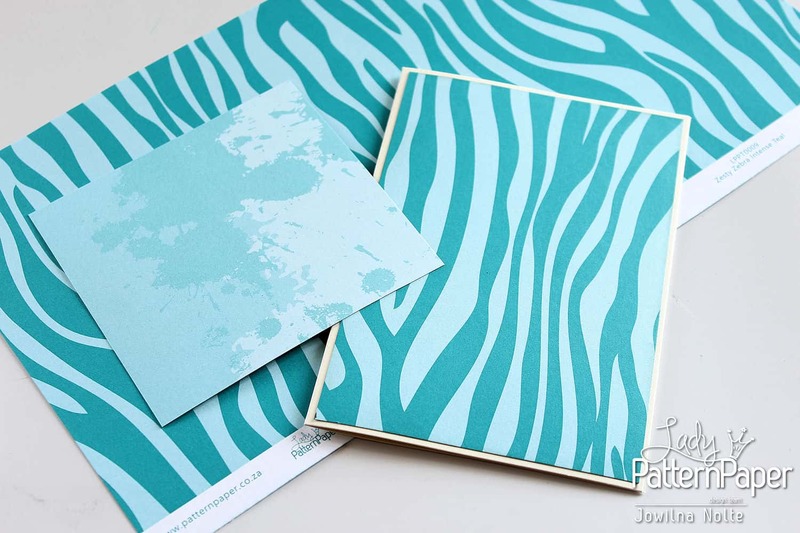 A set of beautiful Zesty Zebra cards in a few easy steps using the gorgeous Basically Textured papers.